The recently released budget and the announcement of proposed changes to construction sector immigration policies signal the Government’s commitment to placing an increased focus on compliance for employers who employ migrants. The continued focus on employer compliance furthers the requirements of the Immigration Act 2009 and is supported by the existing MBIE stand-down list. Together, the existing legislation, the budget and proposed changes to policy clearly convey that employers who wish to retain or employ migrants must be compliant with the Act and New Zealand employment law. In the May budget the Government increased the number of labour inspectors, border agents and visa processing services and set aside $5.6 million to enable the Immigration Advisers Authority to take action to reduce the unlawful provision of immigration advice. This infusion of funding is meant to strengthen the compliance capability of Immigration New Zealand. You may have also seen the recently proposed changes to support the construction sector’s access to much needed labour. Underlying these policies is a further indication that the Government is focused on employer compliance. The proposed changes will require an employer to become accredited or use an alternative pre-approval model to recruit migrants for the construction sector. Only employers who exhibit ‘good employment practices’ will be able gain the requisite status. 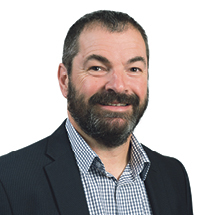 A nationwide mandatory accreditation for labour hire companies is also being proposed to assist in managing the risk of worker exploitation and the potential for under-cutting wages and conditions of New Zealand workers. Thus, the intention is that only employers with a history of compliance with New Zealand law and who can also demonstrate good HR policies will gain access to migrant labour. Non-compliant employers can be placed on the stand-down list for a period of up to 12 months with the stand-down period commencing when an infringement notice, or penalty is issued. The repercussions of being on the stand-down list are severe for employers as they are prevented from recruiting new migrants or supporting visa renewals for any of their employees while on the stand-down list. Once an employer is removed from the stand-down list, the implications are ongoing as immigration officers may still take previous non-compliance into consideration when determining an application. The Immigration Act 2009 imposes a duty on employers to ensure that all their employees are legally entitled to work for them in New Zealand. This includes only employing migrants within the confines of their visa conditions, which typically specify the employer, the role and the location of the work. Employers are liable for financial or criminal penalties if they allow or continue to allow a migrant to work in their service, knowing that the migrant is not entitled under the Immigration Act 2009 to do so. An employer has a defense only if they can show that they have taken “reasonable precautions and exercised due diligence” to ascertain a person’s entitlement to lawfully work. The scrutiny involved in the visa application process has shifted from the applicant to the employer. If an employer currently employs migrants or wishes to do so in the future they need to be aware that their compliance with New Zealand employment and immigration law will be scrutinized. In order to meet compliance obligations, employers should at least be able to identify how many of their employees hold work visas, the type of visas and their expiry dates. Employers need to also continue to ensure they adhere to good employment practices, not only to support visa applications, but to also avoid penalties for non-compliance. While the practical details of many of the Government’s promised changes to New Zealand Immigration policy are yet to be disclosed, all indications are that there will be an ongoing focus on employer compliance and that only employers with a positive compliance history and robust HR practices will have access to migrant labour and skills going forward. If you have questions or need assistance, please contact our immigration team.